Which is the most highly recommended way of getting to Agra ? 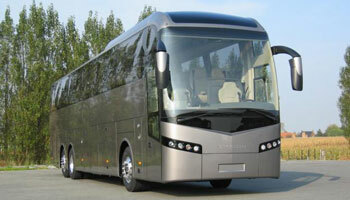 You can take a bus arranged by your tour operator for a group trip to Agra. If you want economy use a train among i mentioned below.And if your budget allows than a private taxi with driver is a best bet. Delhi, Mumbai, Kolkota and Chennai are the best connected cities of India to the International Flights . To see the the most popular "Golden Triangle Tour" (Delhi-Agra-Jaipur),you have to take a flight to Delhi. You can get the Best Deals on connecting Flights rather than direct flights. Most of these cheap flights operate via hubs in the Middle East, such as Dubai, Abu Dhabi and Bahrain. There is no direct international flight to Agra but some chartered flights do come to Agra, but this does not stop tourists , Taj mahal still has higest number of tourists in India per year. Agra airport is 7 km from the city center and 3 km from Idgah bus stand. Indian airlines operate daily tourist shuttle flights to Agra, Khajuraho, Varanasiand back. It only takes 40 minutes from Delhi toAgra. 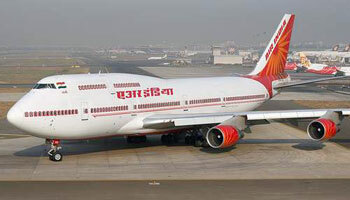 Recently KingFisher Airlines started routine direct flights between Agra , Jaipur and Delhi. Check website .You can check some good offers of . Agra is well connected by railroad. The main railway station is the Agra Cantonment station. Agra is well connected by rail to Delhi, Varanasi and cities of Rajasthan. Trains like Shatabdi, Rajdhani, and Taj Express are the best choices if you want to reach Agrafrom Delhi. 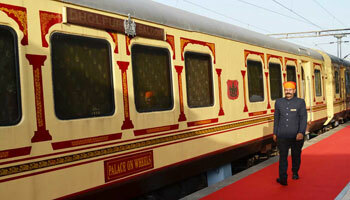 If you want to experience Royalty and luxury, go for Palace on Wheels. Palace on Wheels Bar Palace on wheels gives you a week in wonderland. For more information about thisRoyal train, go to its official website Foreign tourists and Non Resident Indians (NRIs) are also offered priority reservation benefits not available to the local Indian population. Indian Railways allow foreign tourists to make train reservations up to 360days in advance. Indian residents howevercan make train reservations onlyup to 60 days in advance. The Bhopal Shatabdi leaves New Delhi at 6am daily, arriving at Agra Cantonment Railway Station at 8am; it returns to Delhi at 11:05pm. Alternatively, you can catch the Taj Express, which leaves Delhi's Nizamuddin Stationat 7:15am, returning to Delhi at 10:05pm. Some other train servicing the city are : G.T. Express ( New Delhi to Chennai), Dadar Express (Mumbai to Amritsar), Jhelum Express (Jammu to Pune), Kalinga Utkal Express (New Delhi to Puri), Karnataka Express (New Delhi to Trivendrum), Ujjani Express (Dehradoon to Ujjain) and Hyderabad Express (New Delhi to Hyderabad). Agra lies less than 4 hours away, on a good double-carriage highway from Delhi. Avoid government buses if possible.If you are traveling in a group and luxury bus is arranged by your hotel or tour operator they may be fine to use. However if you have the option choose a private taxi. When you rent a private car in India, it usually comes with a driver. Prices for private taxis can be negotiated depending on the number of days you need the taxi. Private taxi charges also vary with the make of the car you choose. In Delhi most taxis will quote a price starting from Rupees 7/Km.Check about night charges. So....,come and have a lifetime experience of what an emperor did in memory of his beloved wife.